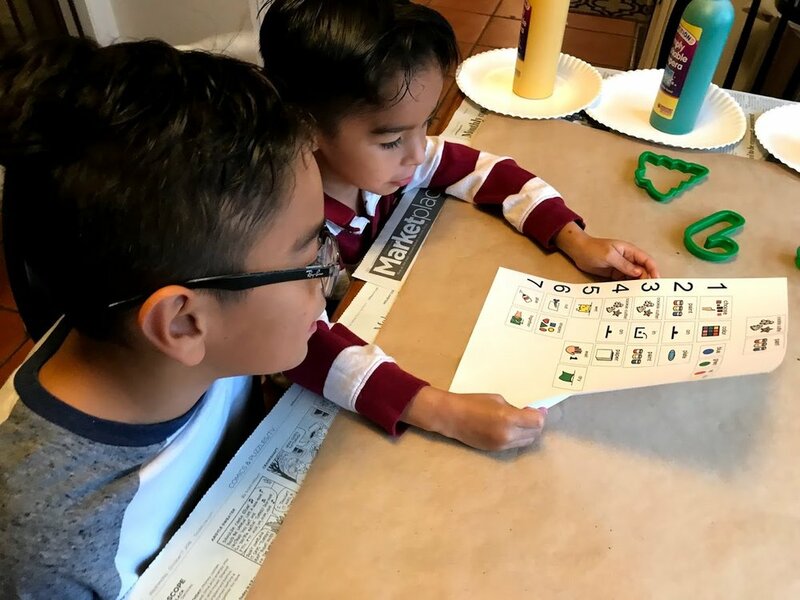 Having your child involved with the gift shopping and present wrapping will provide an endless amount of language, cognitive, fine motor and creative learning opportunities this holiday season. This is a huge Theory of Mind skill…..understanding that giving a gift to a person will make them feel loved and happy, which in turn will help your child create a meaningful relationship with the person. My action affects how another person perceives me. Also, understanding that other people may want different things as gifts (Daddy probably doesn’t want princesses for Christmas……what kinds of things might Daddy like?) is another important Theory of Mind skill…….different people like different things than I do and giving them those things as presents will make them happy…..thinking about what other people want and what other people like. Here are a few fun ways to help your child make progress towards increasing their Theory of Mind skills over the holidays. First of all, your child needs the language to be able to ask their family members what they want for Christmas. Try using a visual and practicing beforehand. Below is an example question strip you can use. Point to the pictures and model the language to help your child. Your child can ask their family member or friend in person or you can help them call them on the phone. Having a shopping list prepared before you go to the store will help your child know what the goal of the shopping trip is. This will set them up to succeed as they will be aware of the expectations. Make the list as visual as possible. This might be in picture form or in a written/picture form combination. When the person tells your child what they want for Christmas, help them write down the person’s name and then write down what they want. Ideally add photos of the person to their name on the list to help with Theory of Mind comprehension even more. 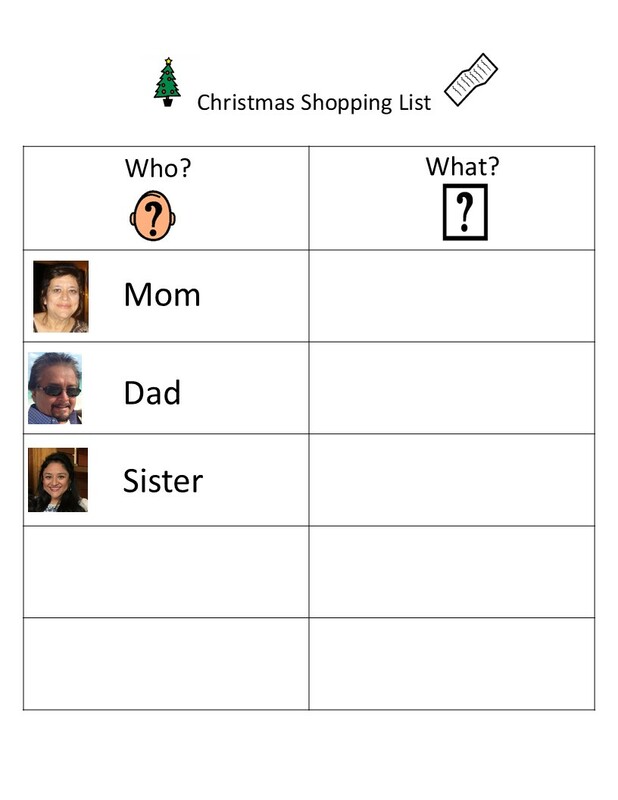 You can also draw stick figures of the item they would like or print off photos from the internet. Take this list with you when you go shopping so your child knows exactly what you are shopping for (not toys for your child, but things for others). Make it fun when you are shopping so your child does not focus on only things they want. Sing the “Where Song”…..“where is a watch for Daddy….where is a watch for Daddy….in the jewelry section…….in the jewelry section….gold watches, silver watches, lots of different watches!” You can even treat the shopping trip like a scavenger hunt. Your child can help you pick out the presents once you find them in the store. Don’t forget to check the item off the list when you find it! Try having your child make their own wrapping paper! 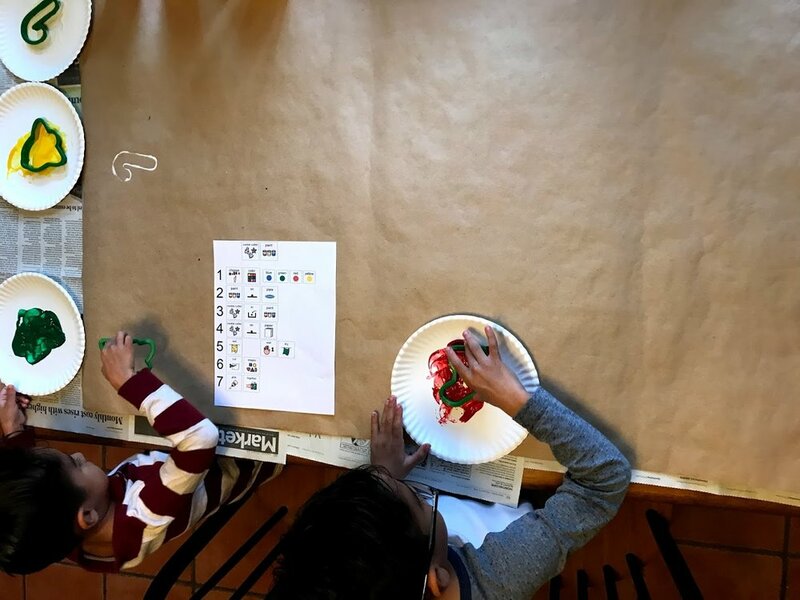 You can use butcher paper or you can cut open a paper bag and let your child paint, color and decorate with your help. Focus on choosing colors, designs and pictures that your child’s family members like. Then help your child wrap the presents. Your child needs the language to be able to give their gifts. Below are some visual examples of language to work on. Point to the pictures as you model the language. Practice beforehand…..you can even practice with stuffed animals and dolls within pretend play…..this will be a fun pressure-free way to work on the language. When it is finally time to open your child’s gifts, be sure to focus on expressing to them how it makes you feel……one of the keys to Theory of Mind. Mother’s Day is approaching! Not only does Mother’s Day give us opportunities to show Mom how much she means to us, but it also gives our children fun learning opportunities. For children with autism, language and social challenges, it can be difficult to understand and express Mother’s Day concepts. We want to share a fun flower craft that will help your child show Mom they care, understand Mom a little more and increase many other language and fine motor skills. 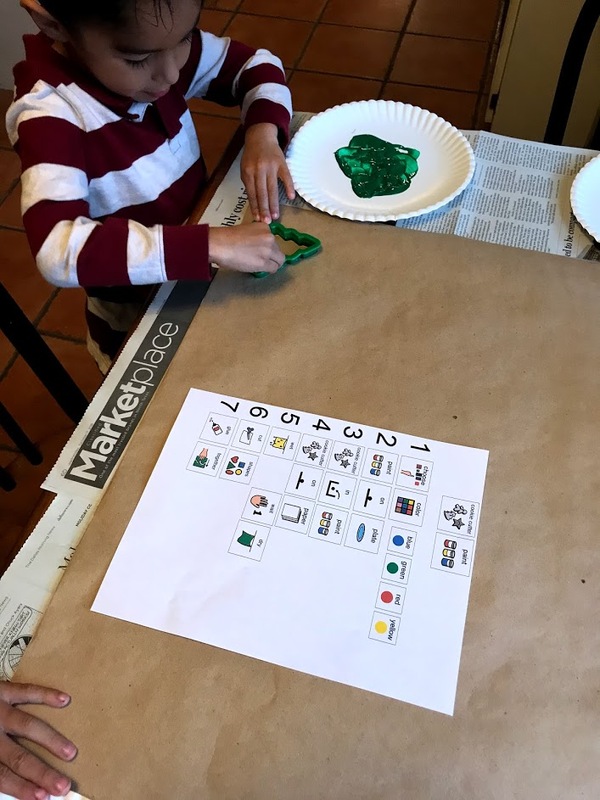 First we will walk you through all the steps to create the craft and then we will give you lots of ideas on social language skills you can work on with your child.